By casting your ballot, YOU help decide the individuals and businesses who have made the greatest impact in our Westlake community for 2018. 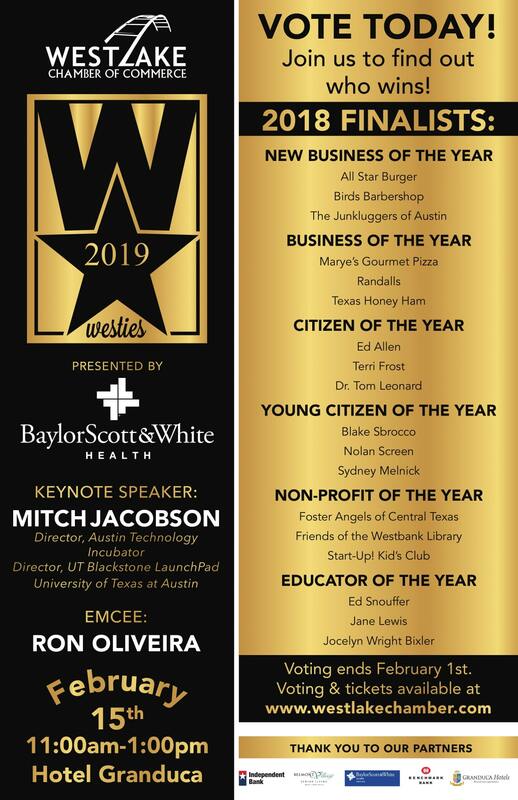 Join us as we unveil the winners at the 13th Annual Westies Awards ceremony, held at the Hotel Granduca Austin on February 15th. Register below! For information about each finalist, use the drop down menu under the 'Westies' tab. Buy your Tickets here and come cheer on your favorites!